Looking to give the kids a lesson in Singapore’s living history with some gorgeous Peranakan architecture? 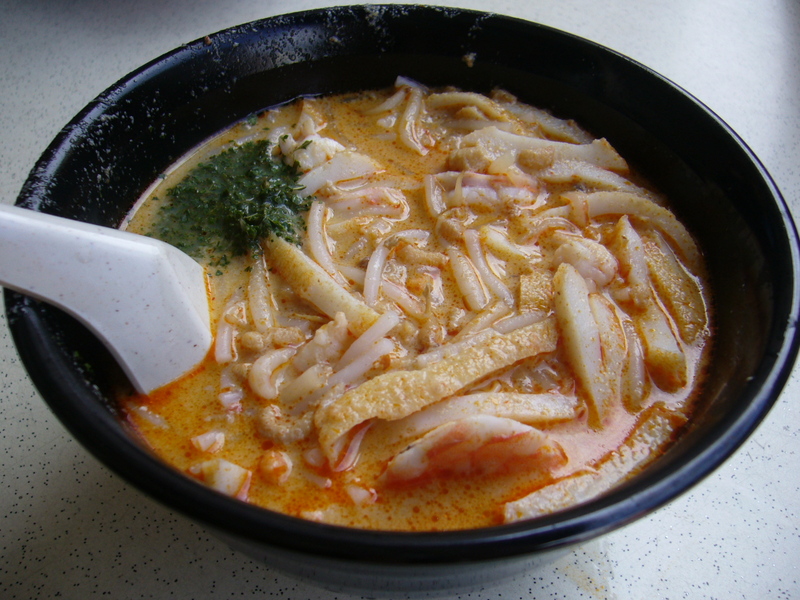 Or are you dying to try the famous Katong Laksa? A few months back we brought you the Joo Chiat Neighbourhood Guide; consider this the companion article that fills in the gaps around the oh-so walkable, super family-friendly heritage Katong district on the East Coast of Singapore. For every restaurant or shop we recommend below, there are five more nearby that are probably just as good (East Coasters take their food very seriously). We’ve laid out this itinerary north to south and west to east, sort of like a giant letter “L”. Start at the top of Tanjong Katong Road and Dunman Road (not far from Dakota MRT) and work your way south, then head East along East Coast Road. You can always grab a taxi or one of the many buses that run along East Coast Road if you get tired, mama! NB: There are tons of neat mama- and child-friendly shops and businesses in the malls along this route (particularly KatongV and I12 Katong), but it’s easy enough to seek out their directories online. This is all about the local shops! Many argue this is the best bread you’ll find in Singapore, let alone on the East Coast. The brainchild of French pastry chef Frederic Deshayes, Do.Main’s pastries are in fact rivaled by the super-yummy sandwiches and baked dishes. When diehard Brits swear by this place for a late night takeaway after hitting the neighbourhood’s many bars, you know it must be pretty good. It’s a hit with the wee ones, too, as on the weekends kids receive a free activity kit and balloon! Queues consistently stretch around the block for the East Coast outlet of this popular Nasi Lemak joint. The menu is simple, straightforward and cheap, with heavenly coconut rice and oh-so crispy fried chicken leading the way. Full set lunches can start from as little as $4! We love that Eng’s heritage dates back to the wild pre-hawker centre days of the 1950s, when they used to peddle their delicious Wanton Mee around Joo Chiat with a pushcart. They eventually upgraded to a stall, and then a few years ago graduated to this, their first brick-and-mortar, standalone, air-conditioned shop. Their super-hot, house recipe chili sauce is, in local parlance, die die must try! A super-cute shop that earns props for their clever name, along with a nice rotating variety of over 30 yummy ice cream flavours, all made fresh daily in-house! One of many cafes along Tanjong Katong, Laneway gets the nod for its delectable desserts (seriously, look at that chocolate cake! ), great coffees, and bright-yet-chilled out vibe. Free Wi-FI doesn’t hurt, either. Bar Bar’s equally popular with families for its please-all-comers menus (Izakaya, Northern Indian and Western all available) as it is with late-night revelers looking for a good watering hole. This relaxed open-air spot also get a thumbs up for allowing dogs (and even bringing them water bowls!). CIS’s smaller East Coast campus caters to kids from Early Education (age 3) through Grade 8, and provides a truly intimate, neighbourhoody feel. And mamas are spoilt for choice when it comes to a post-drop-off coffee or yummy afternoon lunch! Are the kiddos looking to expend some energy in between meals? Or would you like a nice, quiet spot to do some reading? This triangular park wedged between Mountbatten Road, Tanjong Katong and Meyer Road offers a bit of playground equipment, a nice expanse of green grass, and plenty of shade. It’s a popular hangout for the neighbourhood’s many dogs! 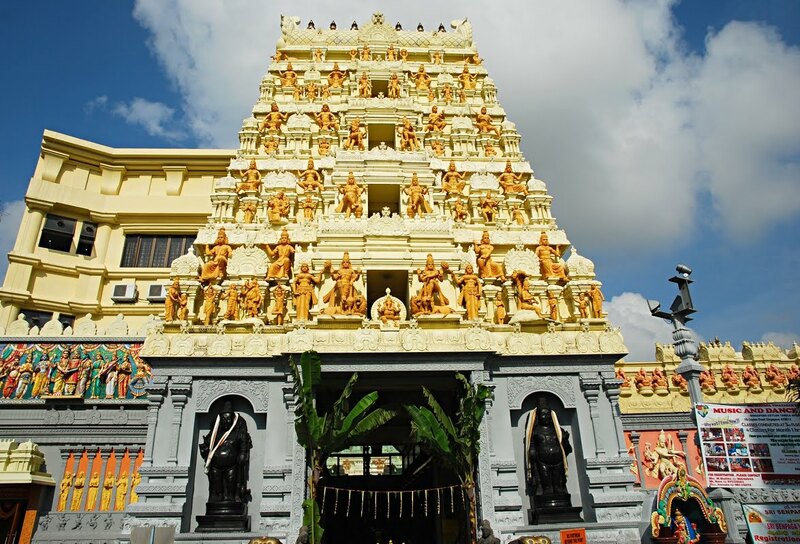 This is the second oldest temple in Singapore, tracing its roots all the way back to the 1850s. Although it’s been rebuilt a number of times over the years, the beautiful temple features gorgeous stone carvings, a unique “musical pillar” carved over three years by artisans in Tamil Nadu, and a special enlarged entryway modeled after ancient temples that’s large enough for a king seated atop an elephant to pass through. Conveniently just across from Sri Senpaga Vinayagar, this hole-in-the-wall spot serves up delicious vegetarian fare including Northern, Southern and Tandoori Indian cuisine. Service is friendly and the prices are pleasingly low! 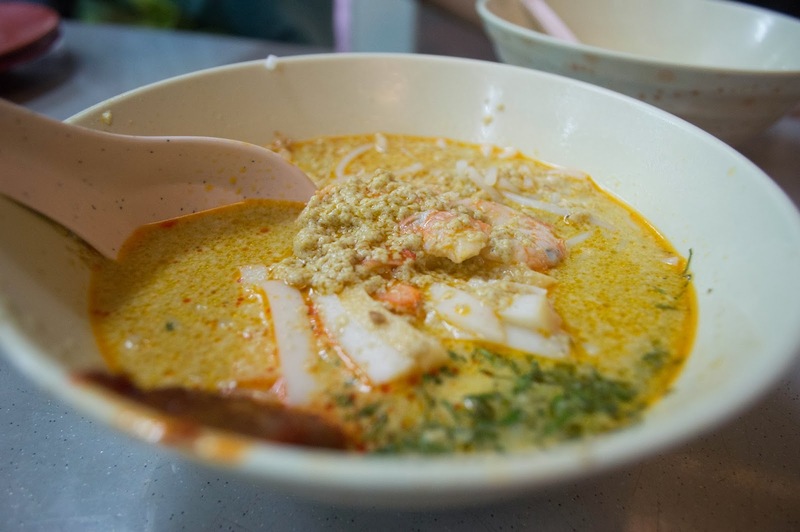 Deemed by many to be the tastiest of all the neighbourhood’s many laksa shops, this one’s known for their thick, spicy, totally slurp-worthy coconut gravy as well as heaps of fresh seafood. There’s a sister location down the street at 216 East Coast Road (that’s right, confusingly neither is actually at number 328). Set in a bright, airy Katong shophouse, this eco-friendly, cruelty-free natural nail spa happens to do a fantastic mani-pedi. The staff is friendly and meticulous, and the natural polishes have surprising staying power. This family’s laksa stall was founded all the way back in the 1940s, and they’re credited with pioneering the local “Nonya” style. They’re renowned for using fresh coconut milk and cutting the bee hoon noodles extra short so everything can be slurped with a spoon — no chopsticks! You’ll find lots of diehards at their stall in Roxy Square. Despite a glut of Vietnamese restaurants on Joo Chiat Road, very few offer the famous Vietnamese banh mi sandwich. This place fills the void with delicious fresh-baked bread (the key to a strong banh mi) and a nice variety of meat fillings. Perfect for a quick, healthy lunch. This Vietnamese import is surely one of Singapore’s most glamorous ice cream shops, with French cinema posters on the walls and gorgeously constructed ice cream conglomerations like the ones above. There’s a nice range of flavours, too (we recommend chili chocolate, although they’ve even got carrot on the menu!). Another of the neighbourhood’s old school stalwarts, Kim Choo does a brisk business in Nonya snack delicacies like rice dumplings and pineapple tarts. They’ve also got a nice selection of Perankan clothes and gifts. If you’re looking for a traditional kebaya, beaded slippers, or some lovely Peranakan ceramics (among our favourite Singaporean gifts to bring friends abroad! ), this gorgeous shophouse is your place. 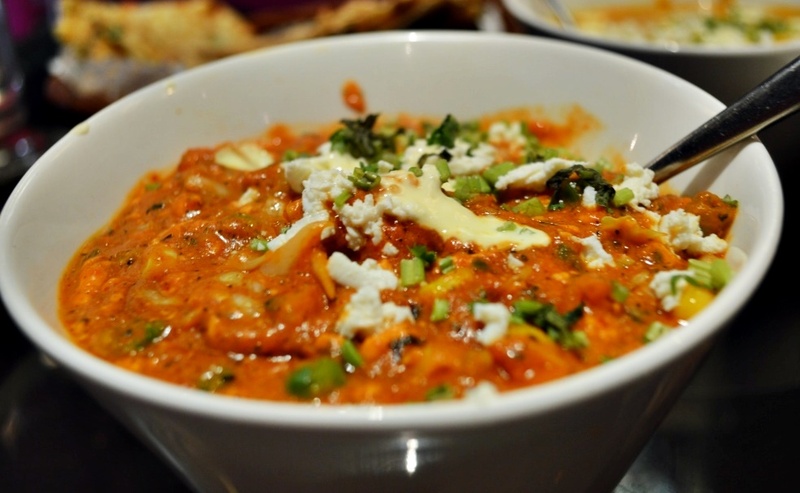 To be honest the East Coast is a little light on great Indian food, but Zaffron is a major crowd pleaser with a warm, inviting atmosphere and a delicious range of both Northern and Southern Indian dishes. Plus, get a load of their amazing kids’ play area — that’s a real house with its own little fenced off garden! Worn out from your trek down Tanjong Katong? Pop in for some old-school reflexology from the no-nonsense uncles. One of our local marathoner friends swears by this place for post-race relief. The free-range kampung chicken is the star here, but we also just love the atmosphere of big round tables set up outside on the sidewalk under a string of lightbulbs. It kind of feels like a trip back in time. As noted in last week’s round-up of Singapore’s best breakfasts, this iconic landmark serves up heavenly buttered kaya on pillowy soft, freshly baked buns. The old school tiling and creaky chairs totally add to the ambience. Lovingly restored by a fourth generation Peranakan who’s included many of his own family’s heirlooms and gorgeous furniture, this historic “living museum” is a neat counterpoint to Singapore’s typical ultra-modern, condo-filled housing. With high-end cult brands like Tokyobike (pictured above) and top-of-the-line Basso Italian racing bikes, Cycle Craft isn’t cheap, but they know their stuff and have a wide range of fab accessories. Hat tip for a nice selection of child bike seats! Whether you’re looking for antibiotic free meat or organic veggies fresh from Australia, hard-to-find gourmet cheeses, or just some yummy sandwiches, swing by this spot co-owned by the four Oh sisters and you’re sure to come away satisfied. Are you hungry yet, mamas? If you haven’t been to the East Coast with a properly worked up appetite, then you really haven’t been at all!